We can’t know for sure if this was planned or not. 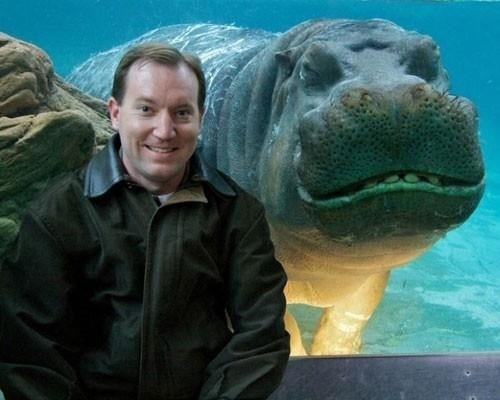 What we do know is that hippos like to be photographed. Look at this cutie pie! He’s almost smiling into the camera with his eyes are closed!